As I sit in front of ‘White Christmas’ attempting to sing along (quite poorly I might add), sipping hot chocolate and trying my best not to eat all the Nanaimo Bars in the house, I reflect upon my own knitting favorites. For this relaxing evening I am knitting away on a pair of addi lace needles and the yarn of choice is my very own: Gourmet Crafter Cashmere. It’s the Whale Watching colourway and it’s lovely. I’m working on a Simple Yet Effective cowl, an easy free pattern, and the simplicity of the pattern shows the pretty subtle variegation in the yarn. It’s a light, warm, soft, cowl for chilly evening while I hope for snow. This entry was posted on Wednesday, December 14th, 2011 at 2:33 pm	and is filed under Uncategorized. You can follow any responses to this entry through the RSS 2.0 feed. Both comments and pings are currently closed. 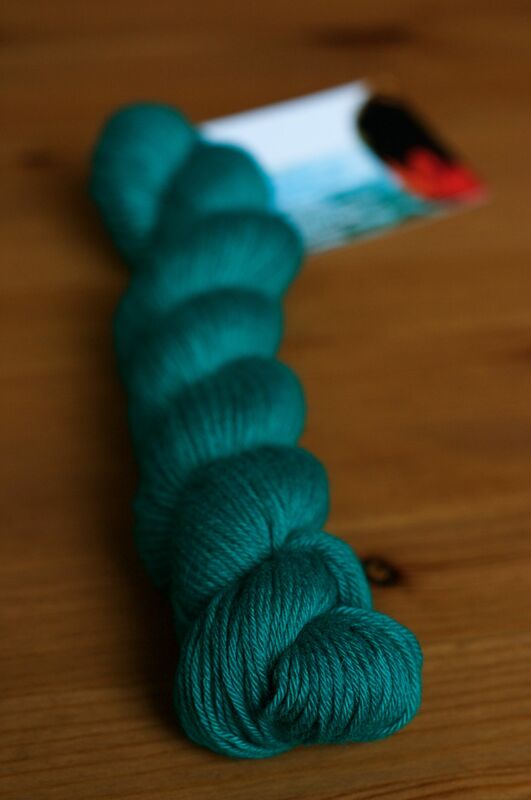 Your Gourmet Crafter Cashmere is my favourite yarn too. And that colour will make a beautiful cowl.